Yesterday, Camp Mosey Wood celebrated its 75th Anniversary. Camp Mosey Wood is one of the remaining Girl Scout camps belonging to Girl Scouts of Eastern Pennsylvania, tracing its roots to the Lehigh County Girl Scouts, Bethlehem Steel and the mother of a “mature Girl Scout” who happens to share a mutual acquaintance with me. I registered because I thought it would be nice to spend the day with my daughter at the same camp where she does her summer resident camp every year. She’s ten years old now, and we calculated that she’s done four summer sessions (one half week program, one “Baker’s Bunch” themed week, one “detective” week, and this year geocaching which ended a mere two weeks ago) and two winter sessions. I attended camp Mosey Wood several times as a child, various weekends with my local troop including one in the winter where I clearly remember my adventures cross country skiing. 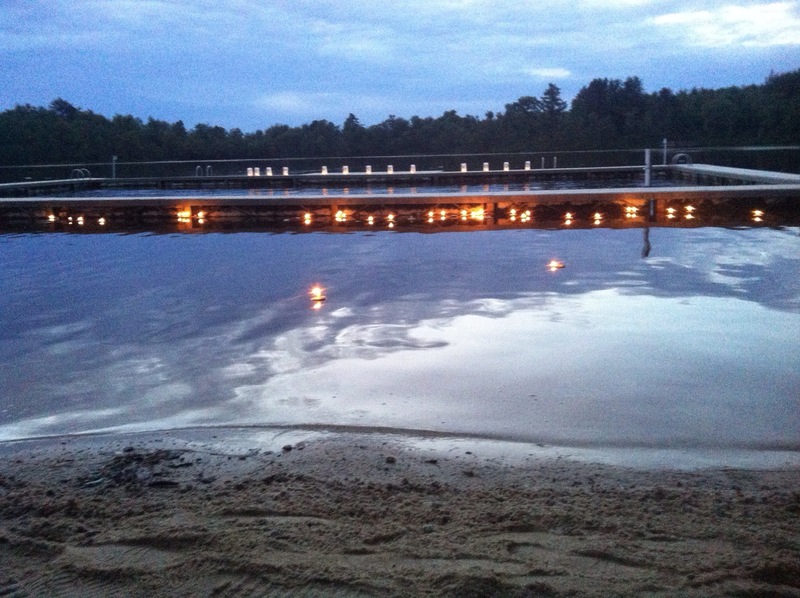 I never had the opportunity to attend summer resident camp, and part of me always wondered what magic happens there. Yesterday, I experienced a glimpse of it. The day surpassed my every expectation and like any good Girl Scout program it pushed me past my expectations. I am overwhelmed, proud and exhausted today as I think about the memories my daughter and I made. Four of us arrived together for the day program. We carpooled with the daughter of one of the camp founders, camp name Bunny, and our mutual acquaintance. Bunny’s daughter is now near approaching seventy-five years old herself as her mother worked for the Girl Scouts before marrying. She stayed at the dining hall and the central green for most of the day, visiting with old friends and making new ones. 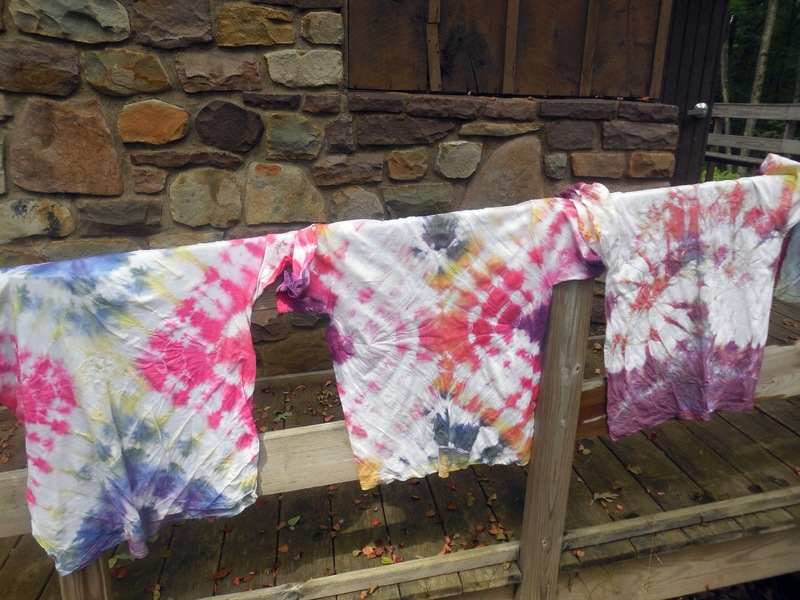 What happened next is the usual conglomeration of crafts, tie-dye (my first time! 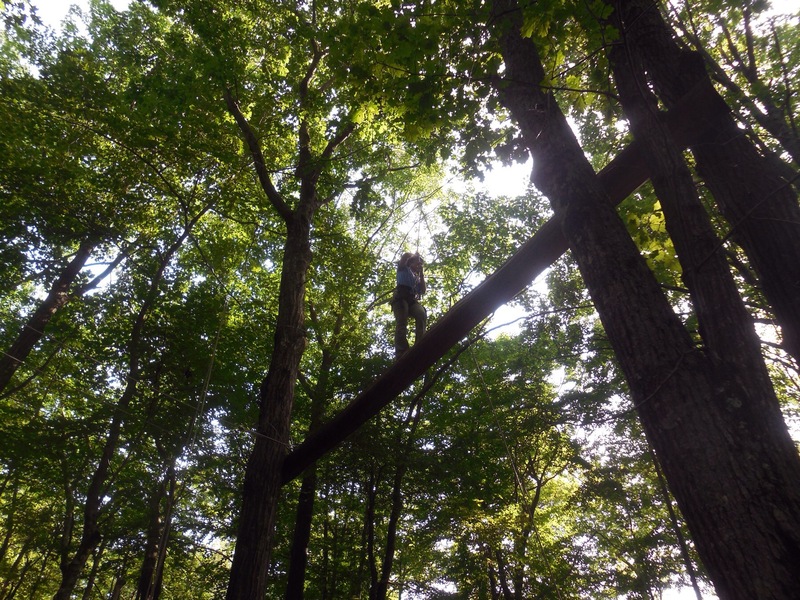 ), hiking, boating, eating, dining hall games… All items that gave me a glimpse into the life my daughter has when she’s at Girl Scout camp. Who can resist picking fresh wild blueberries off the bushes? Who can’t help but feel inspired by hiking paths created for gold projects? Who wouldn’t get excited by the prospect of a NEW ZIP LINE across the LAKE! I watched in awe of my daughter as she kept checking on the older people, bringing Bunny’s daughter blueberries and helping them from place to place. I had never seen my tween so kind, considerate and empathetic. I watched in awe of my daughter on the “s’up” board (stand-up paddle board). My friend and I struggled with a rowboat like a couple of drunken sailors as she zipped by us on her board, reaching the far side of the lake. When she eventually headed to shore, she ended up helping others get started because we were still in the middle of the lake spinning in circles… When we docked, I stood there and listened. I suddenly knew I had to put on the bathing suit that hadn’t seen the light of day in eight years and go paddle boarding with her. I said as much to my friend and she replied, “Go ahead, if you want to.” And I didn’t want to, as much as my maternal instincts said this was a moment to share something with her that had nothing to do with what I wanted. I changed, put on borrowed “lake shoes,” handed over my glasses and followed my daughter into the water. If you know me, you know I have balance issues thanks to cerebral palsy and my legs aren’t always reliable. Well, here I was, out on a lake, my daughter racing and gleefully barking orders. I can’t see. My depth perception is off. Kayaks, other paddle boarders, and rowboats surround me. I manage. I enjoy it. But in the end, I fell off (in part because my paddle was not adjusted to my height and because I never learned to use my paddle as a “third leg” for balance). That yoga has paid off because I did balance, but the line at the shore for the boards was getting longer so I headed to the dock. But I did it! As soon as we got out of the water, my daughter threw clothes over her wet bathing suit and ran to the climbing wall. I watched in awe of my daughter on the climbing wall (and later the high ropes). My daughter climbed each of the three walls, the harder ones multiple times. I made it up the first two difficulties, no small task but again when I lacked in grace and coordination I compensated for with sheer stubborn will power. This was not enough for my petite thrill seeker so we headed to the high ropes course. I have no idea why I ever thought high ropes would be something I should do. I did it. It was grueling in spots, but I never even stopped to catch my breath. I decided it would be easier to barrel forward than to stop and think about what we were doing. My daughter went first. I went second. When I reached the final platform when you jump, I looked to her on the ground. I reminded her that this was what Girl Scouts was about, pushing yourself and proving you could do it. And I jumped. I became a human piñata as the staff batted my ankles to stop me and put me on the ladder. I laughed at my daughter as she bolted after grace from our spot in the back of the dining hall to the kitchen, performing her duty as hopper with the utmost efficiency and speed. She may have even gained a bit of a reputation for her skills. I asked her to tell me which ones. 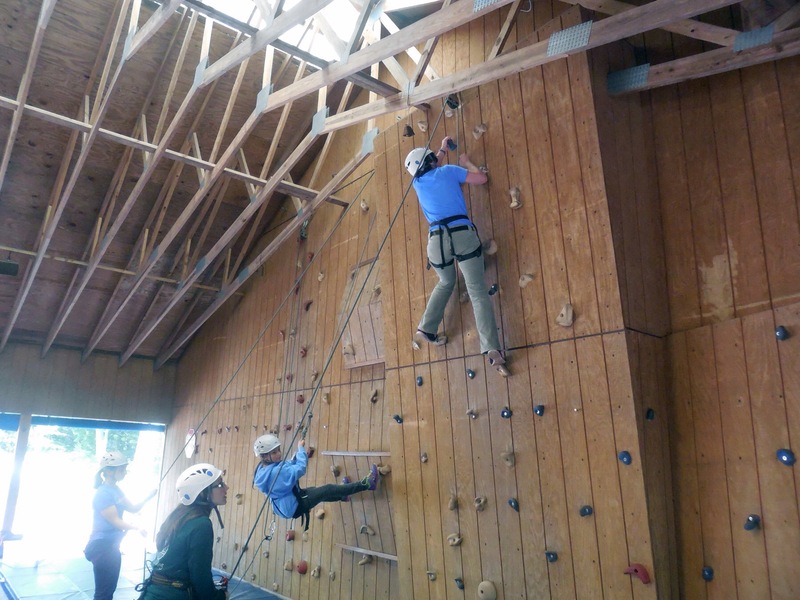 She listed the “s’up boards,” the climbing wall and the ropes. She was very right. Maybe I inspired her as much as she inspired me. The whole day reminded me why Girl Scouts means so much to me. I see my daughter meeting challenges and interacting with others of multiple generations and I can’t help but cry. I spent a great deal of my youth being told what I could and couldn’t do and being teased for my limp and physical difference. I was about my daughter’s age when my junior Girl Scout leader saw me standing at the railing at our roller skating event. I didn’t have skates and I probably looked forlorn leaning on the edge of the rink. She asked me why I didn’t have skates. I said I couldn’t skate. That I had never skated because of my legs. I don’t remember exactly how it happened, but I know within a few minutes I had my rental skates and I was now clinging to the same wall from the other side because I had wheels on my feet. I imagine some adult must have held my hand and coaxed me out, because eventually I hugged the wall and made a lap of the rink. I spent most of my time “practicing” on the carpeted area where people put on their skates. But I had roller skates! And I hadn’t broken my neck! My daughter may never know half my struggles, but thanks to Girl Scouts, she can learn the same lessons. Wow. After it’s fine tuned I’ll send it to ML. Or you can. I enjoyed reading your post. One of the most rewarding things to see as a Girl Scout leader is when girls feel empowered. I love to nudge them out of their comfort zone! It’s a life-long challenge we all face and I hope to give my scouts a good head-start.